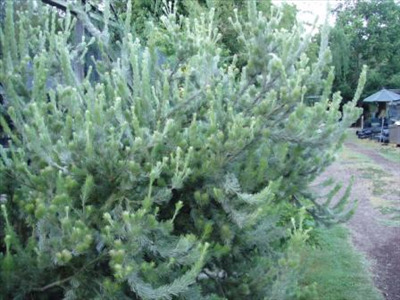 Ornamental large grey shrub 8-12' x 8-12'. Hardy shrub for well drained soils. Full sun partial shade position. Tolerates alkaline soils and frost 24F. Generally fast growing. Foliage can be used for cut flower. Suitable for coastal or inland areas. Useful windbreak or screen. Can be grown in a large container for many years.